The lighting of the Olympic cauldron was a moment that captivated the hearts and attention of Vancouverites everywhere. As thousands of locals and visitors gathered around Jack Poole plaza in 2010, the entire world took watch. And last night, for two breathtaking (but fleeting) hours, the Olympic cauldron was once again lit up in Vancouver. The cauldron was lit last night from 5 to 7 pm as hundreds of people gathered around. For some, it was a chance to reminisce a magical event in Vancouver; for others, it was their first time seeing the famous landmark light up. Vancouver lit the cauldron as an honour to both our Canadian athletes at the game, as well as an honour to the host city: Pyeongchang, South Korea. It’s the first of two times that the cauldron will be set ablaze for the duration of the 2018 Olympic games. 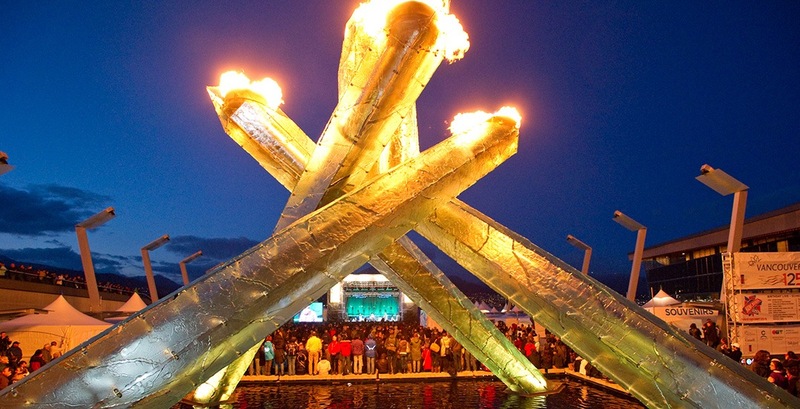 During the 2014 Olympic Winter Games, the cauldron was lit every time Canada won a gold medal, however the Vancouver Convention Centre has opted out of process this year – an effort to save energy. Instead, the cauldron – among other landmarks in Vancouver – will glow red and white for the duration of the competition. The cauldron will light once more for the conclusion of the 2018 Paralympic games on March 17 from 5 to 7 pm – just in time for the closing ceremony.